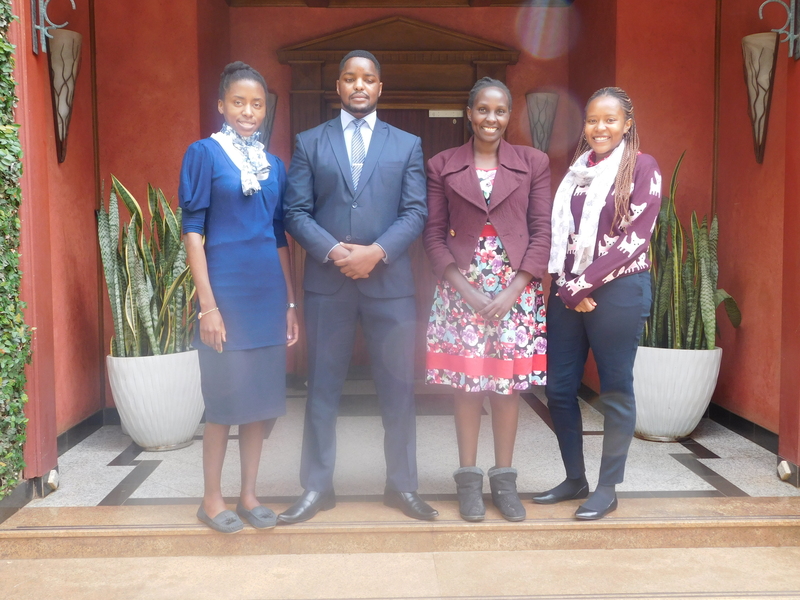 On Tuesday, July 31, 2018 WYA Africa received Mr. Wilson Macharia and Ms. Rina Kamukam from the Agency for Disabilty and Development in Africa (ADDA) at the WYA Africa Regional Offices in Nairobi, Kenya. We sought to find ways for collaboration and engagement into our programmes for youth living with disability as we continue to ensure that we reach more young people with the message of human dignity. We realise that there is much that needs to be done on ensuring more advocacy relates to the engagement of youth with disability, an area that is barely explored today especially among those not living with disability. We had a simple example on how when speaking to someone in a wheelchair, its only fair that one pulls a seat so that they are at the same eye level and the one of the wheelchair is not straining to look up. This is but an example of small but practical ways to include those living with disability or should we say, special ability. One of the programmes that is run by ADDA that is a great engagement for youth living with disability is the ‘EmployAble Project‘ that is working on enabling them to have skills that will bring them to become employees or go into self employment. In addition, we discussed 2 other programmes that they run, the DIET – Diversity and Inclusion Equity Training and DISC – Disability Inclusion Score Card, that enable organisations to determine how well they are actually working to include persons with disability within their day to day operations and specific programme activities. We are excited and thankful to have had this very engaging session that all begun with a simple conversation in a bus. We are already looking at the upcoming Africa Emerging Leaders Conference, where we are anticipating to have more youth with disability present as it shall be accessible to them. WYA’s emphasis on human dignity as foundation for person-centered development recognized Feb.